Screening for residents of Appleridge Senior Living in Horseheads, NY. Presentation of the making of “Facing The Wall” at TEDx Chemung River in Elmira Heights, NY. Public screening with all sales proceeds going to flood relief efforts in Owego. Panel discussion. Two screenings for the Association of Public Historians at their state conference held in Elmira. Program starts at 1:00 PM. This screening will include a discussion with the film’s producer. DVDs will be available for purchase in the museum’s gift shop. *Potluck dinner at 6PM; Movie starts at 7PM. This screening will include a panel discussion with the film’s producer and participants. DVDs will be available for purchase. *Being shown in conjunction with spaghetti dinner, which starts at 6:30 PM. 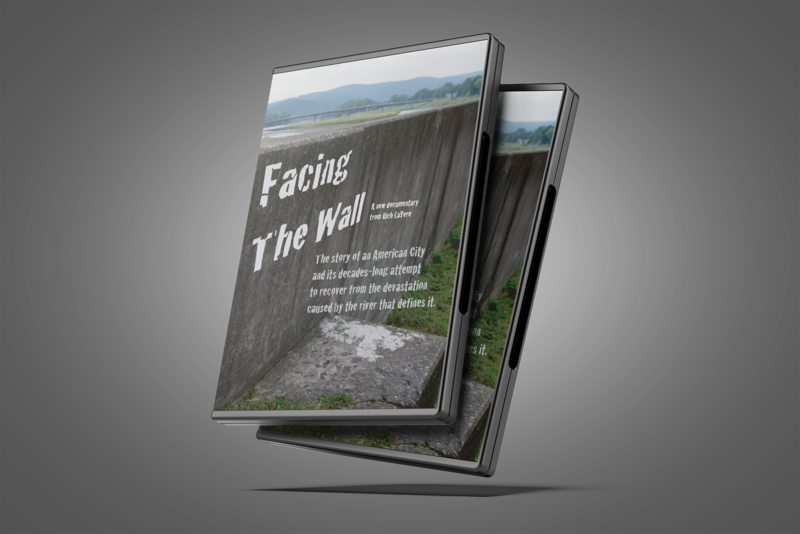 “Facing The Wall” is a documentary from photographer and filmmaker Rich LaVere that challenges perceptions of the Chemung River as they relate to the development of Elmira, New York. This project is made possible, in part, with public funds from the New York State Council on the Arts’ Decentralization Program, administered locally by the ARTS Council of the Southern Finger Lakes. © 2010-2019 Facing The Wall. Site Design by Jacob Burke.